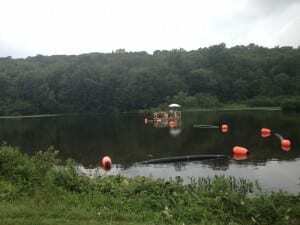 All Habitat Services was contracted by the Town of Cheshire for remediation of the Upper Mixville Pond at Mixville Park. 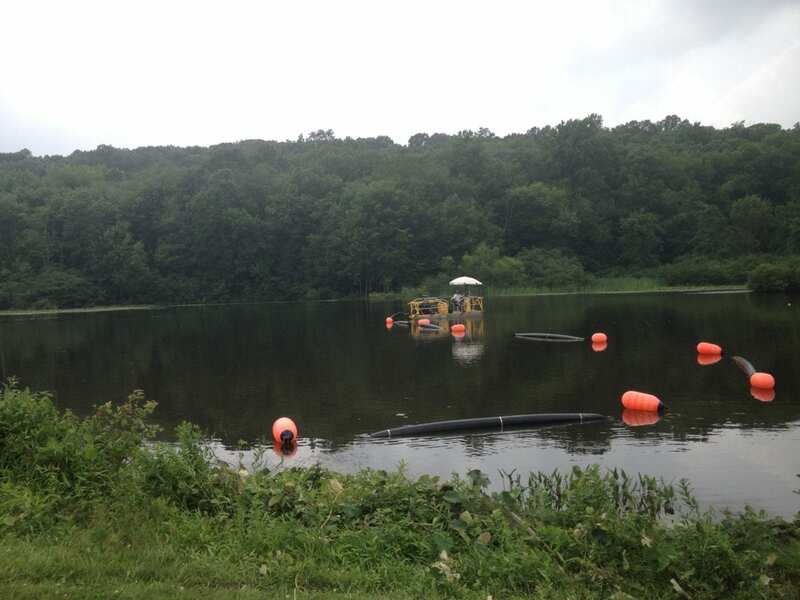 The approximately 4.5 acre pond had been experiencing natural eutrophication and sedimentation from an inlet stream. Accumulation of the sediment had significantly decreased the volume of the pond and a sand bar was forming near the mouth of the main inlet. The Upper Pond was also causing an influx of sedimentation to accrue in the Lower Pond which is used for recreational purposes. Management of the sedimentation in the Upper Pond, which serves as the primary source of sediment accretion in the Lower Pond, was the preliminary course of action in remediation. Using a small-scale cutterhead floating hydraulic dredge accumulated sediment from the pond bottom was pumped to a nearby dewatering/stockpiling area, where the spoils were dewatered using a series of geotextile fabric tubes, which retained the spoils material while filtering the water before it was returned to the pond in a clarified state. Upon completion of the sediment removal project 10,500 cubic yards of accumulated sediment from the Upper Pond, restoring depths as well as creating a reduction in sediment entry into the Lower Pond. All Habitat Services continues to work with the Town of Cheshire on their pond restoration.